If reading music notes has been confusing – it doesn’t have to be. Think of it as learning a language. But, Instead of reading vowels, consonants and words – you are READING MUSIC NOTES. There are 2 Common Obstacles you will face in reading music notes. INFORMATION OVERLOAD. Too much stuff at once. Rhythm is the most fundamental element of reading music notes. If you don’t get it right from the start, understanding music notation will always be a struggle. Remember – keep it simple. How do you put sound on paper? RHYTHM – Notate sound and silence. MELODY – Notate the tone/pitch of sound. HARMONY – Stack the tonal pitches into chords. The key is to learn how to play notes “in time”. It is important to learn note values in the context of a steady beat. With a steady beat, you feel/hear how the notes relate to each other. Reading music notes should be learned “in time” from the very beginning – not as an afterthought. A steady beat is the heartbeat of music. Without it, you can’t sing, perform or compose with any success. It requires some basic math. Nothing too difficult like algebra or calculus – but just plain and simple arithmetic… basic stuff! A Whole can be divided into 2 Halves. 2 Halves can be divided into 4 quarters. 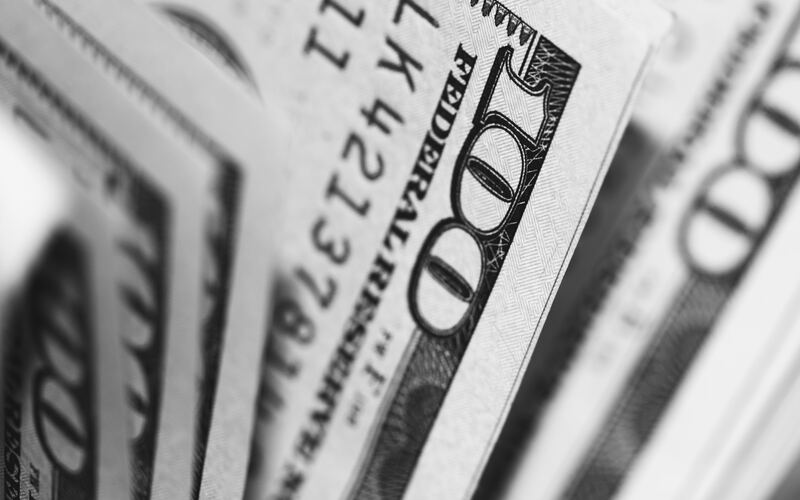 Without that, your money would never be consistent. And reading music notes wouldn’t make sense. 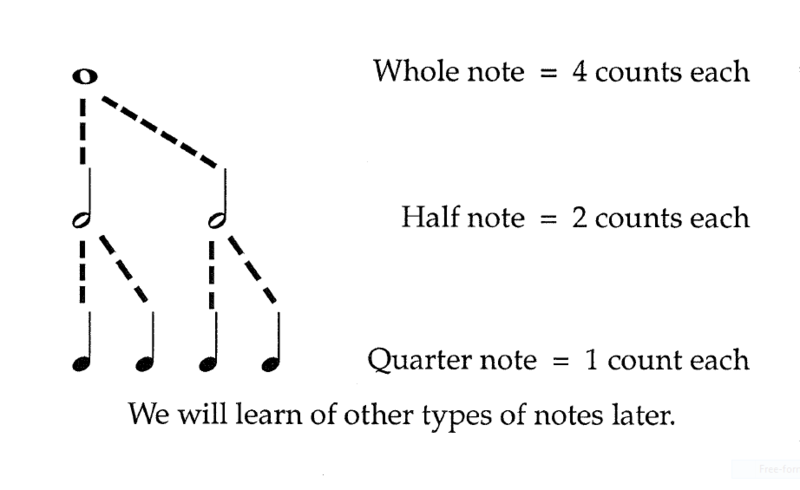 Every note has an equivalent rest. The math always works. You don’t have to guess. 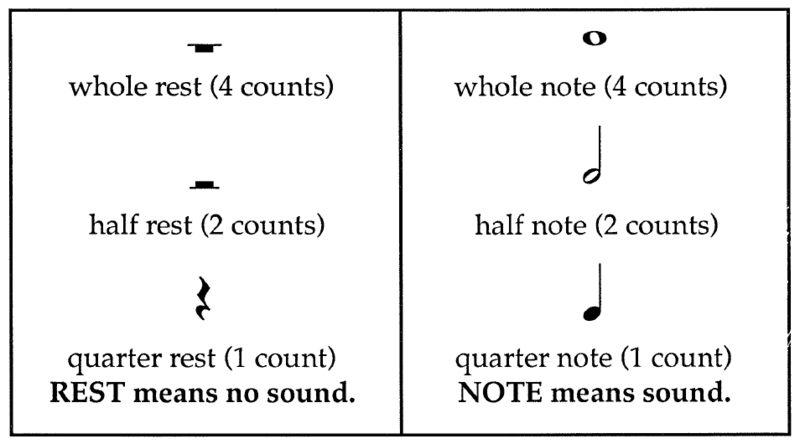 Learn More about the QUARTER NOTE – Trunk of the Rhythm Tree. This is only an introduction to reading music notes. 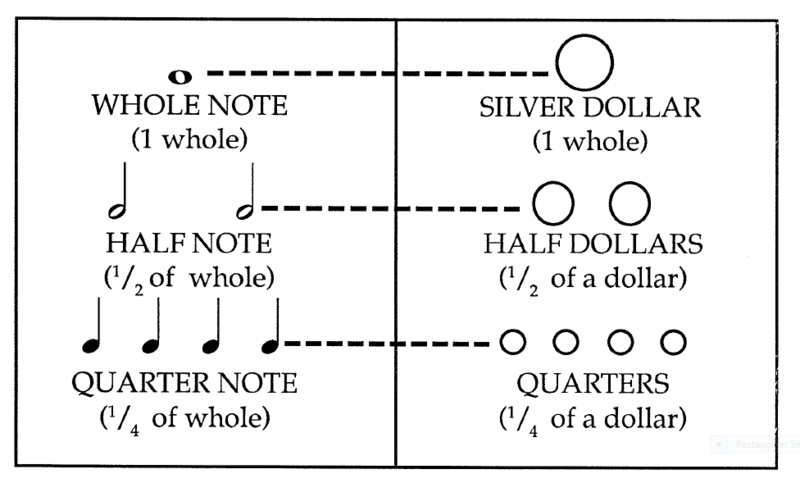 For information on the evolution of music notation, check out this history of music notation.